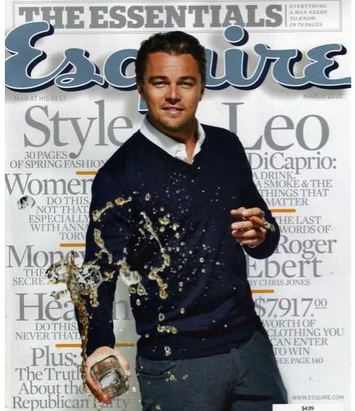 If you appreciate the art of acting then you have to appreciate Leonardo Dicaprio but if you also enjoy seeing great ambassador represent cigar culture then tip your hat. Sure the ladies wanna be with him and the guys wanna be him but all we need is a guy that makes cigar smoking look good. In addition, you may want to ask how does he stay out of trouble? Why do we never hear about some wild TMZ type gossip? How does he stay focused and perform at such a high level movie after movie. Well as a cigar smoker I know. He has managed the art of relaxation. Pour a glass of Scotch, select a premium aged handmade cigar, sit back on a plush couch, light the foot, become one with the cigar and plot your next move. Reflect on the past, watch those around you, and sip slowly. Only a fellow brother of leaf can understand and I am glad to be in good company.